October 8, 1999 Gods of the Mayas in Dieities completed. October 6, 1999 Gods of India in Dieites completed. Gods of Japan in Dieities completed. October 3, 1999 Added an About The Grove section. Click on the tree on the main page to enter. October 2, 1999 Gave Seanachaidh's Grove a face-lift! Added a new submission to Webweaving. Greek section of the Dieties completed. Updated Links section. 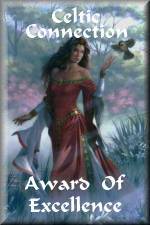 Wambli added to adept list in the links section. September 23, 1999 Moved Webrings from main page to webring.html. September 1, 1999 Added Runes to Divination section. August 31, 1999 Shrunk the file size on the main page images. Same great look, but now less filling! 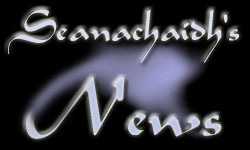 Also added a button for Seanachaidh's News, and brightened the Webweaving button. August 31, 1999 We now have banners and buttons available. Scroll to the bottom of this page to take a look. If you would like to use one, please save it to your own directory, link to http://www.scns.com/earthen/other/seanachaidh/, and send us a link letting us know where you will be using it. August 25, 1999 Egyptian section of Gods & Goddesses of the World completed.